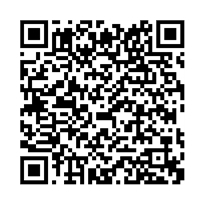 Read eBooks online | World Library - eBooks | Lockheed Martin's Atlas Launch Is Successful! Title: Lockheed Martin's Atlas Launch Is Successful! 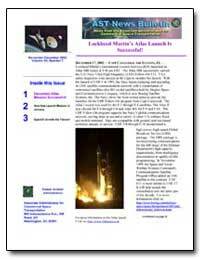 Excerpt: December 17, 2003; Cape Canaveral Air Station, FL: Lockheed Martin?s International Launch Services (ILS) launched an Atlas IIIB rocket at 9:30 pm EST. The Atlas IIIB successfully carried the U.S. Navy Ultra-High Frequency (UHF) Follow-On F11. FAA safety inspectors were present at the Cape to monitor the launch. With the launch of UHF-1 in 1993, the Navy began replacing and upgrading its UHF satellite communications network with a constellation of customized satellites (the 601 model satellites) built by Hughes Space and Communications Company, which is now Boeing Satellite Systems, Inc. The Navy chose the Atlas rocket series to provide the launches for the UHF Follow-On program from Cape Canaveral. The Atlas I rocket was used for the F-1 through F-3 satellites. The Atlas II was chosen for F-4 through F-8 and Atlas IIA for F-9 and F-10. The UHF Follow-On program supports the Navy?s global communications network, serving ships at sea and a variety of other U.S. military fixed and mobile terminal. They are compatible with ground- and sea-based terminals already in service.